Nothing can make you frown today! You're too happy. Let them and spread the smile. You'll definitely attract positive energy. 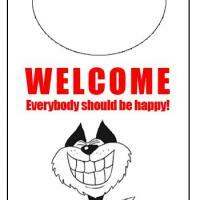 Print and hang this happy mood door knob hanger on your door.